After the 6 hours bus ride from Madrid, Lisa and I arrived in – some people say – the most stylish city in the world, Barcelona. When we first arrived, after not creating any booking in any hostels (because we thought the super long weekend was over) and not finding any girl hosts in Couch Surfing, we had to walk all over the city (again) to find a decent lodging. 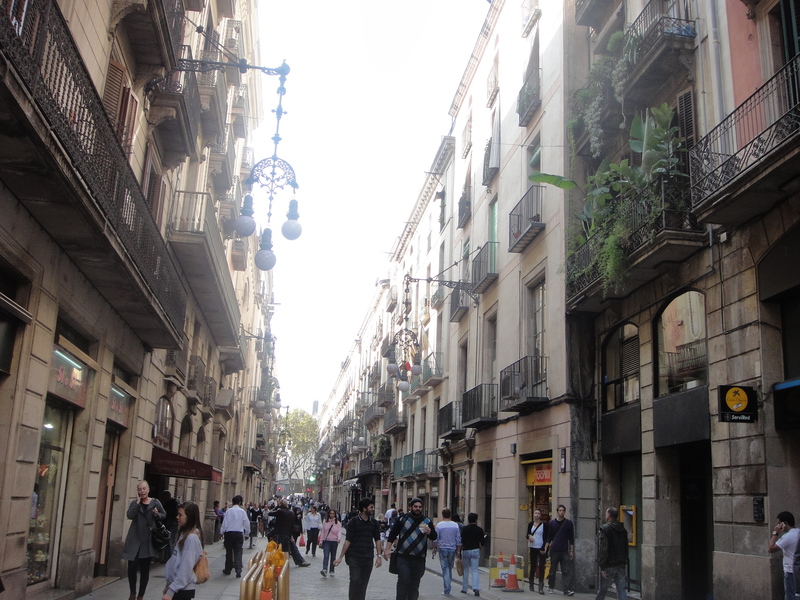 We first arrived at what we thought the famous La Rambla. 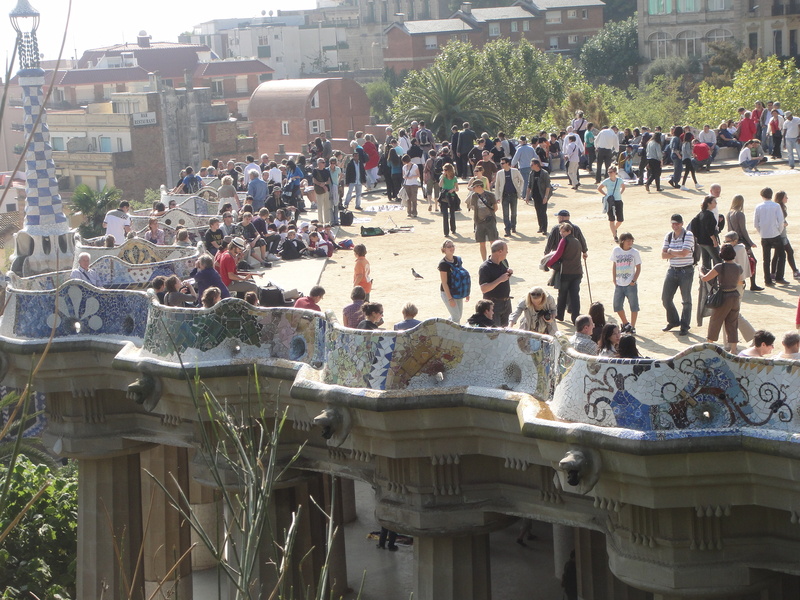 Soon, after not finding anyone but immigrants and one or two tourists, we decided the place was not La Rambla. After asking around to numerous people, walking for about two hours (with our backpacks and luggages), checking out number of hostels, we finally found a decent lodging, called the Principal Surf BCN, in just off the street of La Rambla. 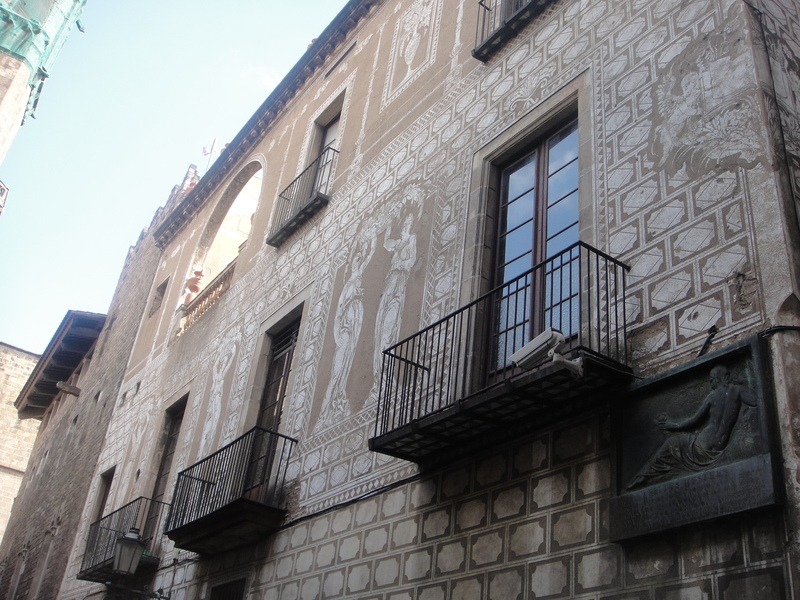 It has practically the best location ever, since La Rambla was really just around the corner. And the three brothers who managed the hostel were the cutest hostel staff Lisa and I had ever encountered. Not to be mentioned they were nice and pretty helpful. One thing that I adore from these three brothers are their laid back lives. They basically open their hostel for 6 months in a year and they spend the other 6 months to spend all the money on traveling. Anyway, one of the first things I noticed about Barcelona was the pickpockets. When Lisa and I were walking around the city, looking for a place to stay, Lisa noticed that the very front pocket of my backpack was opened. I didn’t realize that I lost anything, until I was going to pay for dinner. I was looking for coins and realized that my coins wallet was gone. So, please be careful of pickpockets in Barcelona at all times. 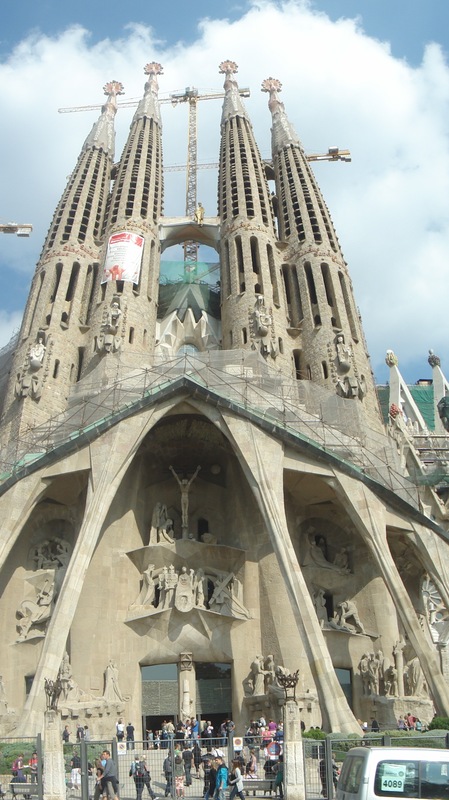 When I think about the places that I went to in Barcelona, I couldn’t really remember them chronologically. 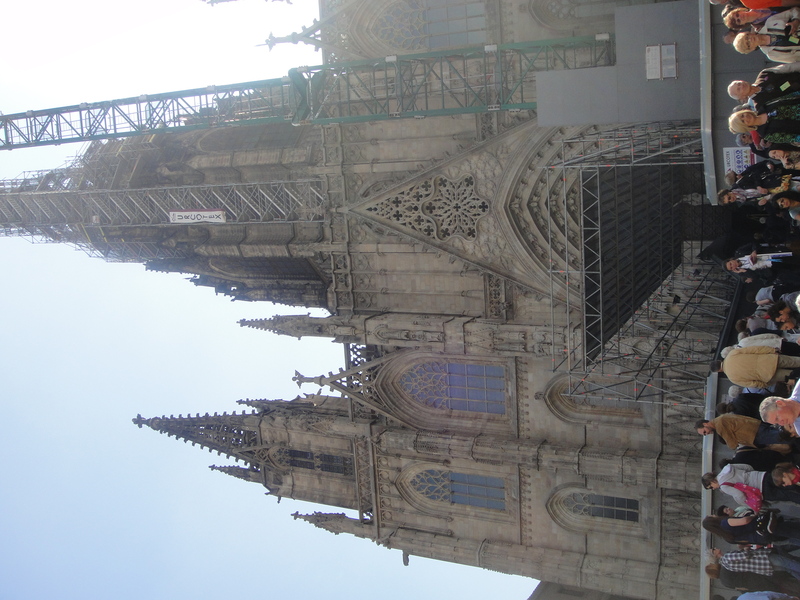 Barcelona was the very last city in my Europe trip, therefore, my very last stamina was spent there. Plus, Lisa was not on her healthiest condition either, so we were kinda slow on exploring the city. But when I look at the pictures that I took, I was surprised that I went to that many places in such a short time. Although, my memory about the places and the timing are now kinda vivid. So, when I was in Barcelona, I immediately reminded of how the people in telenovela live. 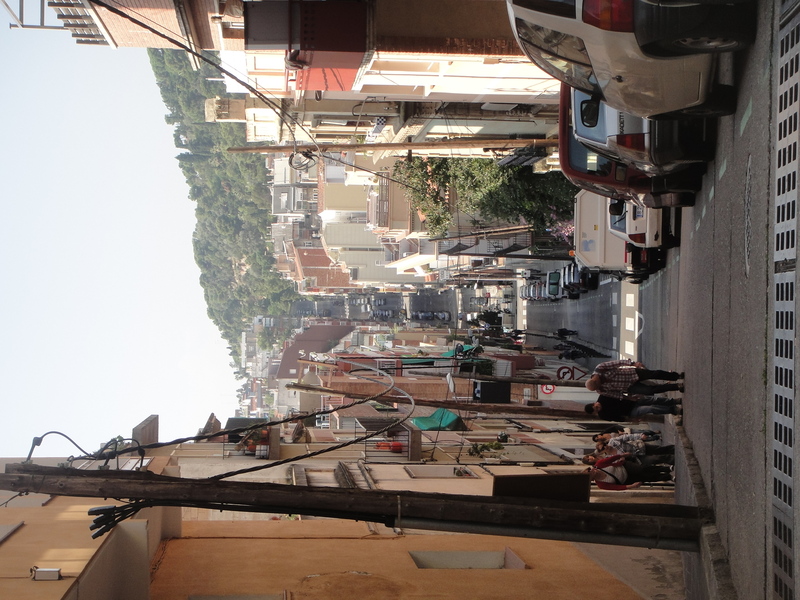 The narrow street with people live too closely to each other. That can easily be found in many telenovela scenes. The other thing was, Barcelona has too many Plaça or Plaza or Square. The ‘old town’, where most of the tourists visit and stay, has different Plaça practically next to each other. 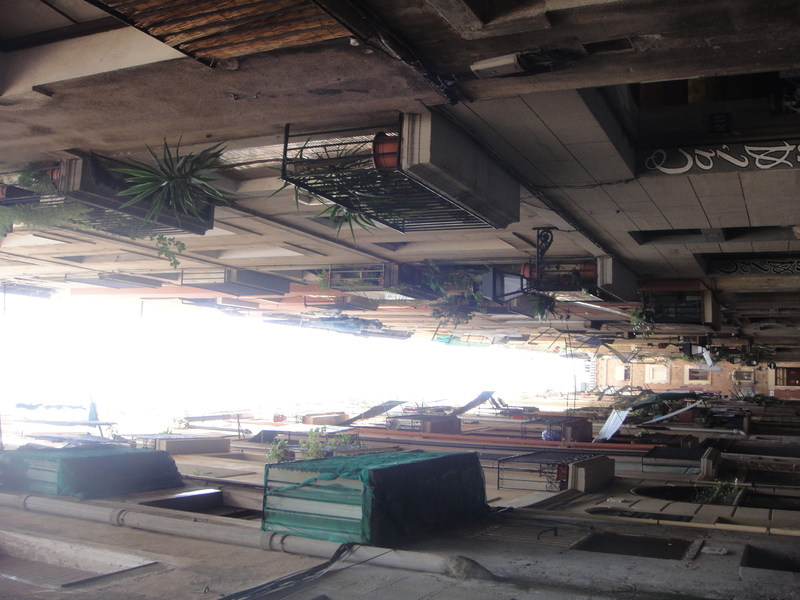 Every street that looked like the above picture, would usually end up in one or two Plaça. And every different Plaça has its different name. And I stopped remembering all the names after my first two hours in the city. The two absolute things that would never miss my sight when I was there were the distinguished buildings and the churches, even if I did not planned to visit them. 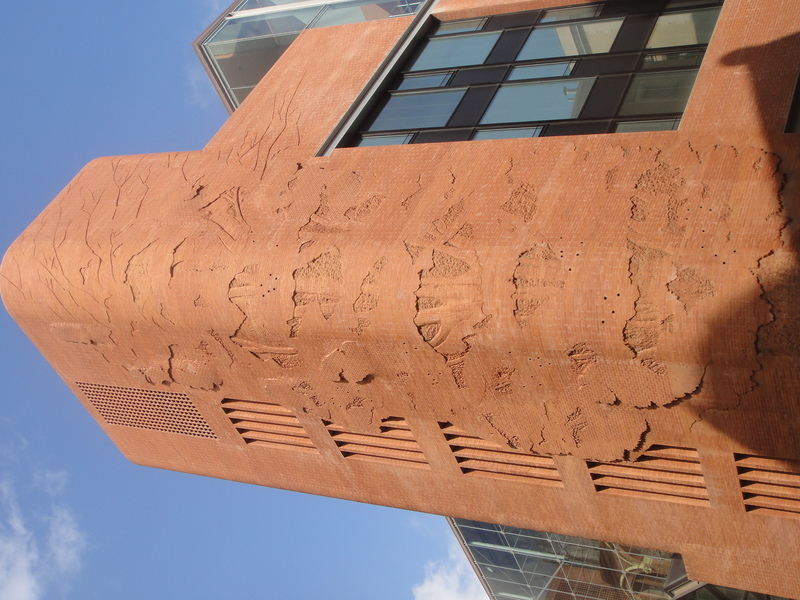 Some of the buildings were very distinguished, I wouldn’t think that I’ve seen something like these some place else. 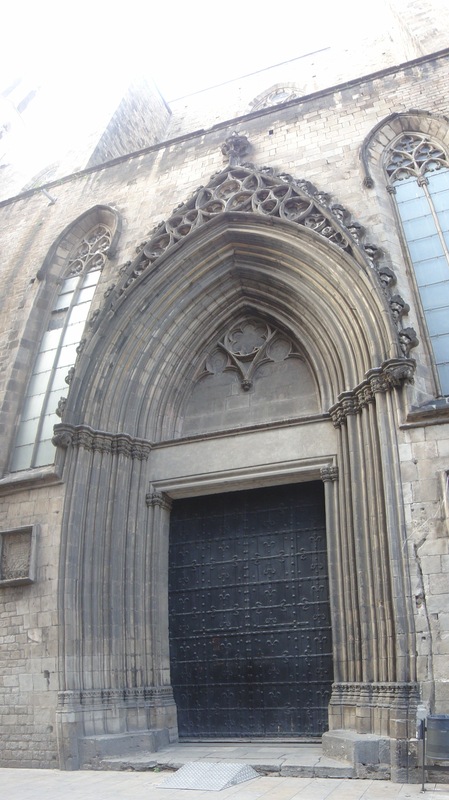 The churches I ran into, when I was there was exquisite, as many of them took the gothic style that I don’t usually see in my everyday life. 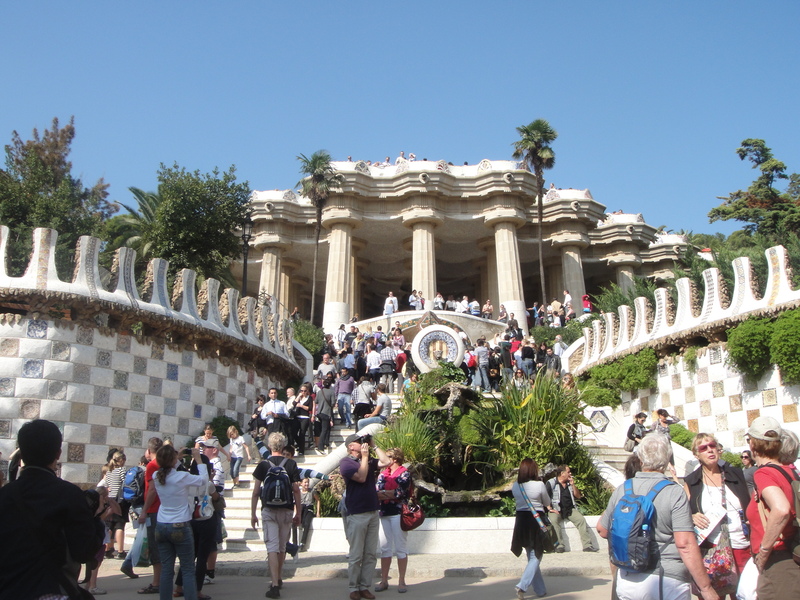 Why, of course, the two most amazing things I saw in Barcelona had to be Park Güell (click on the link and you can see the pretty cool virtual tour!) 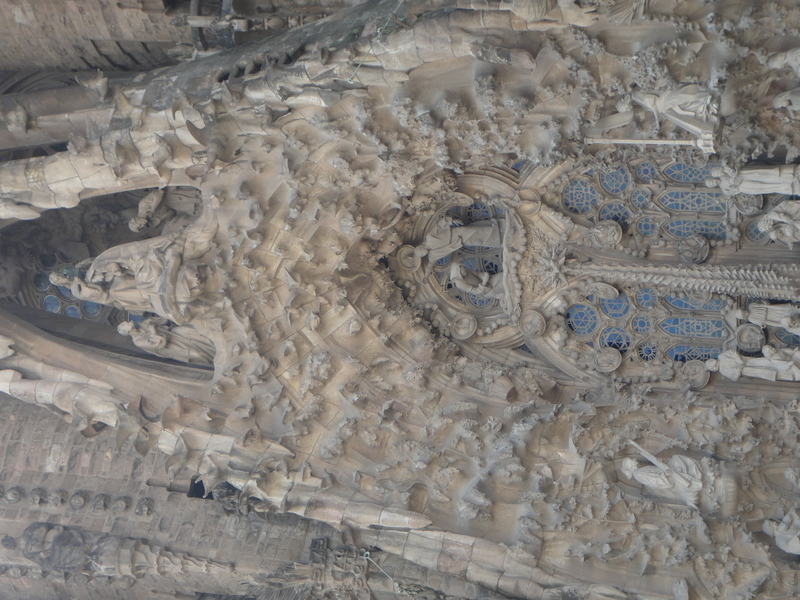 and the Sagrada Família. Thank God for the available cheat: outdoor escalators. Then we came to a park, which was rather dry. A lot of cactus and other plants that could grow in such dry soil decorated it. Other than the breathtaking view of the city (Sagrada Família could also be seen from this park), I did not see anything special about this particular park. I was rather disappointed when we were climbing down. 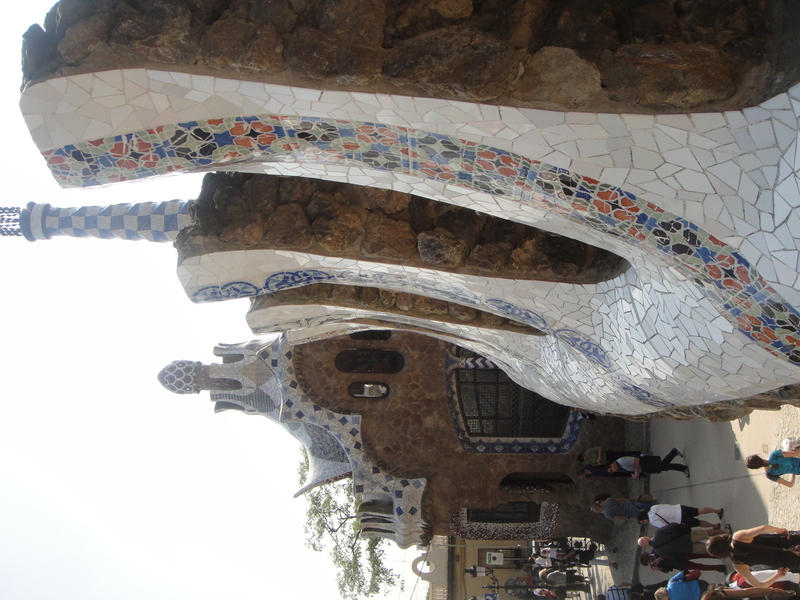 I finally came to the one of the two most famous places in the whole world, that displayed the beautiful artwork of Gaudi. 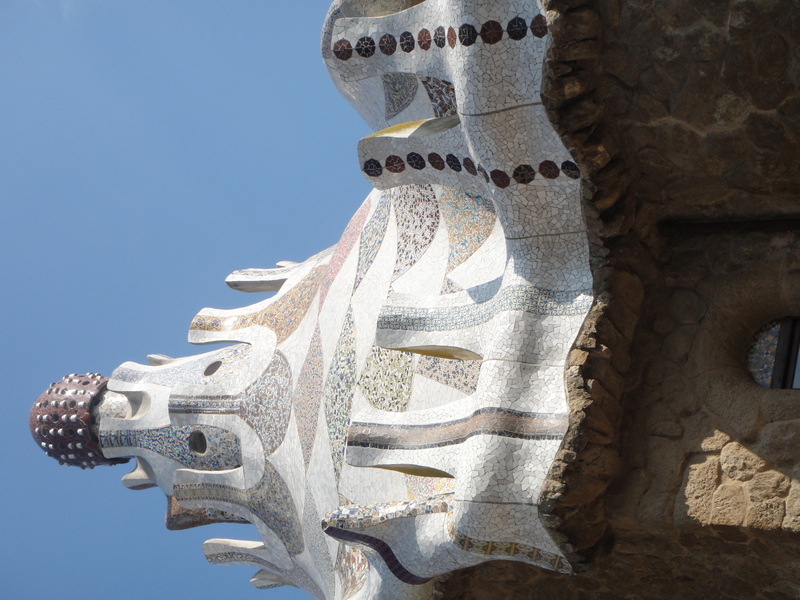 Seriously, though I still had to walk quite a distance to go back to the ‘old town’, visiting Park Güell left a long-time smile in my face. 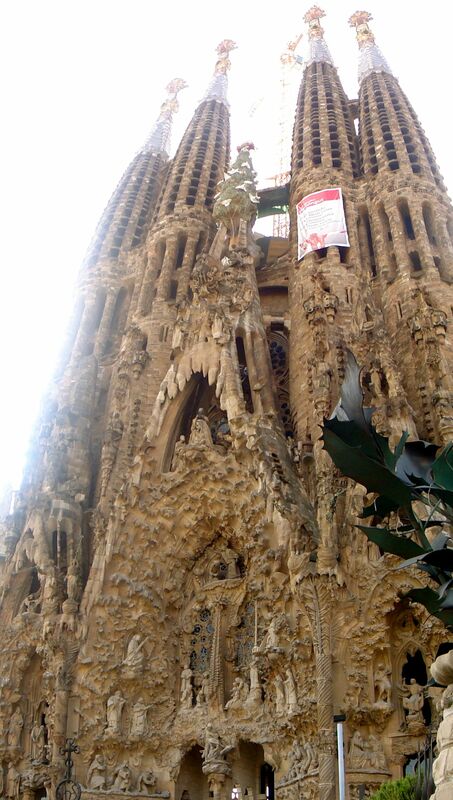 The next day, Lisa and I decided to go to Sagrada Família. Getting off from the train, we saw a picture of one of the world’s most famous church with the year “1886 – …” marked. 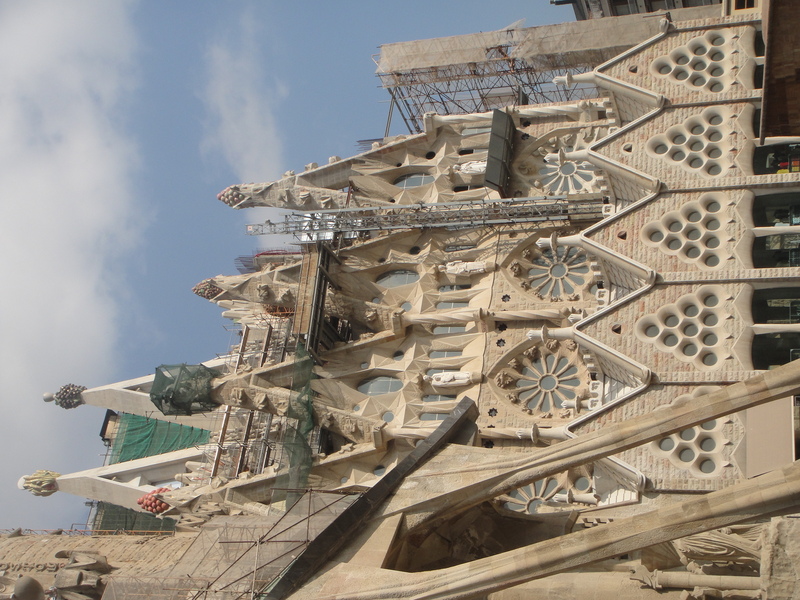 Right then, we discussed about how long it would take to actually finish this particular church, about how much money that was spent into this project, and how much work that was put in. Until I got out of the underground train station and saw the church with my own eyes. Even that word would be an understatement. To fully admire this complicated work of art, I took a few pictures of the work detail. Hopefully people could appreciate this fine arts even more. 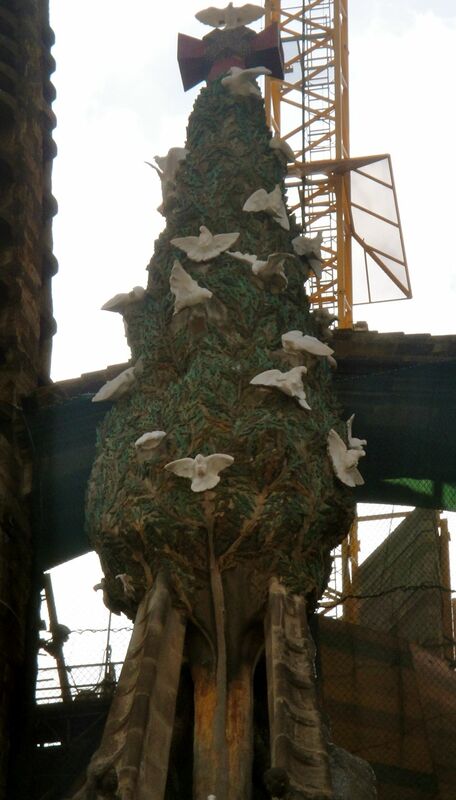 I, later, found out that Sagrada Família is expected to be fully built by 2026. I really do hope that I am gonna live a long time and would still be alive to visit the fully built church, one more time, before I die. I, personally think, if you are a Catholic, especially a Roman Catholic, you really should go there, at least once in your life time. 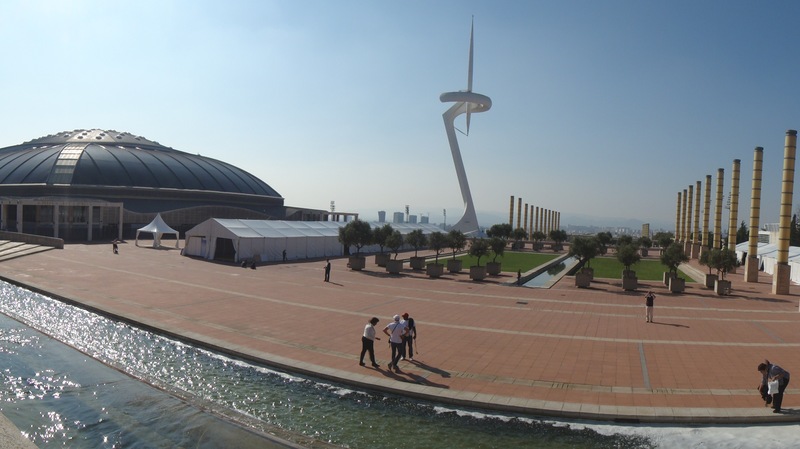 The last big thing I visited when I was in Barcelona would be the Montjuïc area. 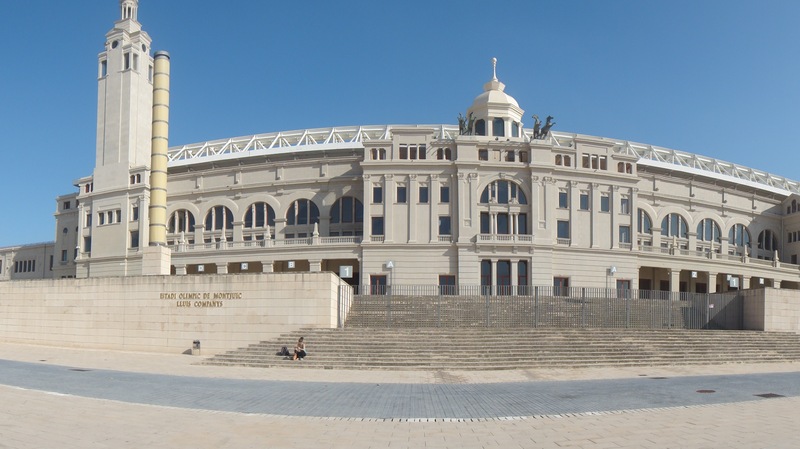 The nicest thing about the Montjuïc area was actually the area around the Palau Nacional. 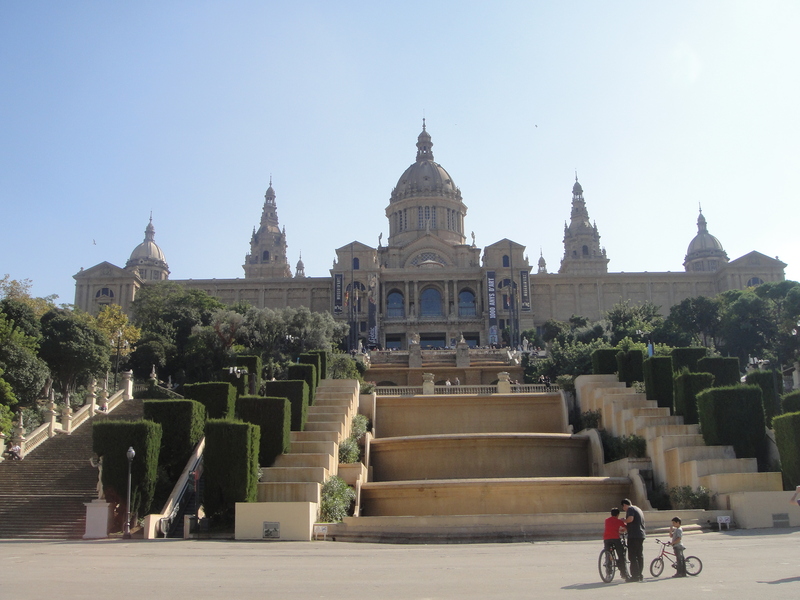 The Palau Nacional was located on top of the Montjuïc area and it was the perfect place to overlook the city of Barcelona. 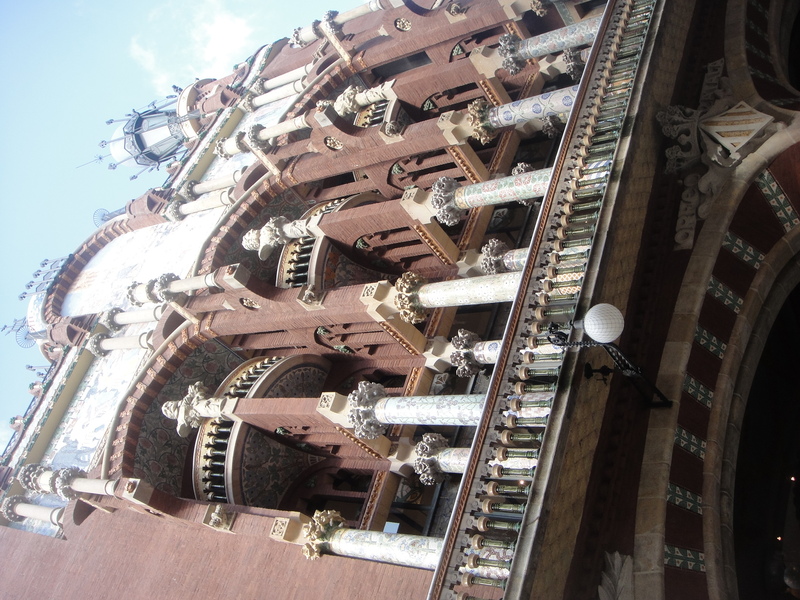 Aside from the beautifully crafted buildings, Barcelona’s beach would be one of the main tourist attractions. I did not take many pictures of the beach, as the weather was not entirely hot, when I was there. There were some chilly moment with fairly strong wind, when I was there. So, I decided to post this particular picture. Around this harbor front, laid the famous Barcelona beach. Barcelona had left so many good memories for me. I was invited to a small, private, local gig in one of the cafe, by Lisa’s friend Aviva. As well as to a night of salsa, by another one of Lisa’s friend, Morla. And my last night in the city was spent with eating an extremely late dinner, maybe around 10.30 to 11 pm, but very delicious, in a beautiful apartment that was housesit by Aviva. But then, the time had finally come for me to continue my journey. With that, I left Europe with the very last picture of the famous (born Italian, but funded by the government of) Spanish explorer: Christopher Columbus. 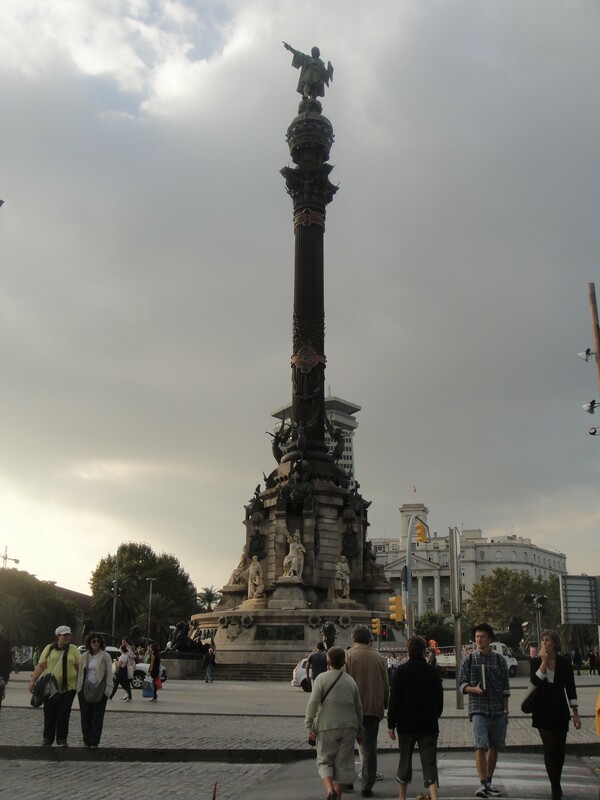 The monument was located between La Rambla and Barcelona’s beach front. It was said that the direction pointed by the monument was actually the American continent. Hereby, I close the series of my Small Trip stories. I can’t wait to write about my next adventures! brarti beneran ya si “la sagrada familia” itu –> unfinished..
knp bisa lama bgt perbaikannya al.. sampe 2026.. lama bgt ya..
mudah2an gw kesana.. melihat langsung bangunannya..
oiya klo misa gerejanya masih aktif ga disna? Eh, itu bukan lagi diperbaiki loh. Gerejanya emang lagi dibangun dan pembangunannya memakan waktu yang lama banget. Kalo lamanya sih ada banyak faktor, yang aku tau pasti sih karena Gaudi-nya keburu mati sama kerjaannya detil banget, jadi lama. Oh ya, misa-nya masih jalan terus dong. Aku inget waktu itu ada iklan Paus mau dateng ke Spanyol, termasuk ke Barcelona. Heboh gitu mereka. bangunan udah bagus gitu padahal ya..
eh, bukan dibangun lagi loh deus. itu dari taun 1800-an sampe sekarang masih dalam tahap pembangunan. nanti perkiraan selesainya tahun 2026. gila banget kan yah? Thanks for your visit! Re-reading this post makes me want to visit the city again.